Well, they could do worse with Glon in the lineup. 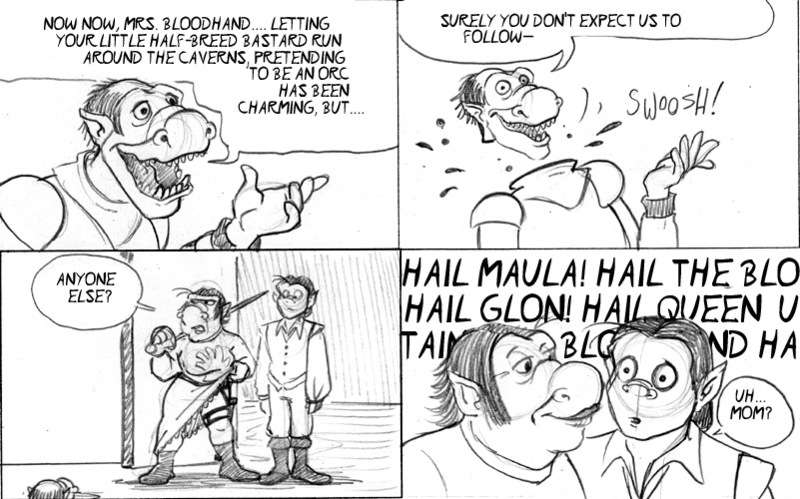 After all, besides Mrs. B herself, Glon was the only other orc that Lewie *didn’t* want turned into undead. Lewie saw him as much more suited to be one of the *living* commanders over the troops. and thus, that orc learns the hard way that insulting someone’s child in front of them is never a good idea.